A new book by Northwell Health CEO Michael Dowling, one of America’s most prominent health care leaders, shares the good news about US health care. 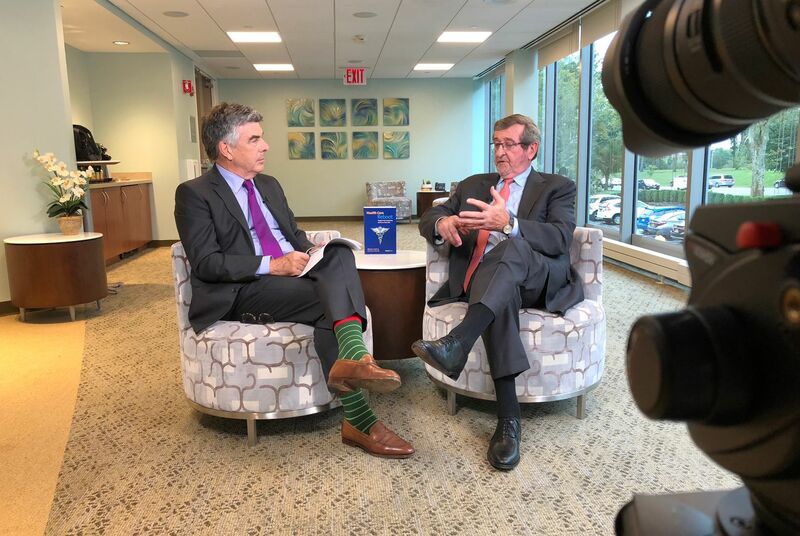 Northwell Health CEO Michael Dowling and his co-author, Charles Kenney, are featured in the latest edition of Northwell’s Health Story podcast. They discuss their new book, Health Care Reboot: Megatrends Energizing American Medicine (Forbes Books), the positive trends in health care and how those trends are providing greater quality, safety, access and affordability to consumers. In part one of a three-part conversation, Mr. Dowling and Mr. Kenney share their reasons for injecting optimism into the health care debate, their research and writing process and why consumers and practitioners should all be encouraged by the direction of health care in the US. “Optimism,” they write, “may not be thought cool and often thought foolish” but when it comes to the often-maligned US healthcare system, there are ample reasons for being optimistic about where medicine is headed. They cite advances in cardiac and cancer care, investments in innovation and a focus on acting upon the broad effect of the ‘social determinants,’ among other factors as reasons for a positive view of health care.